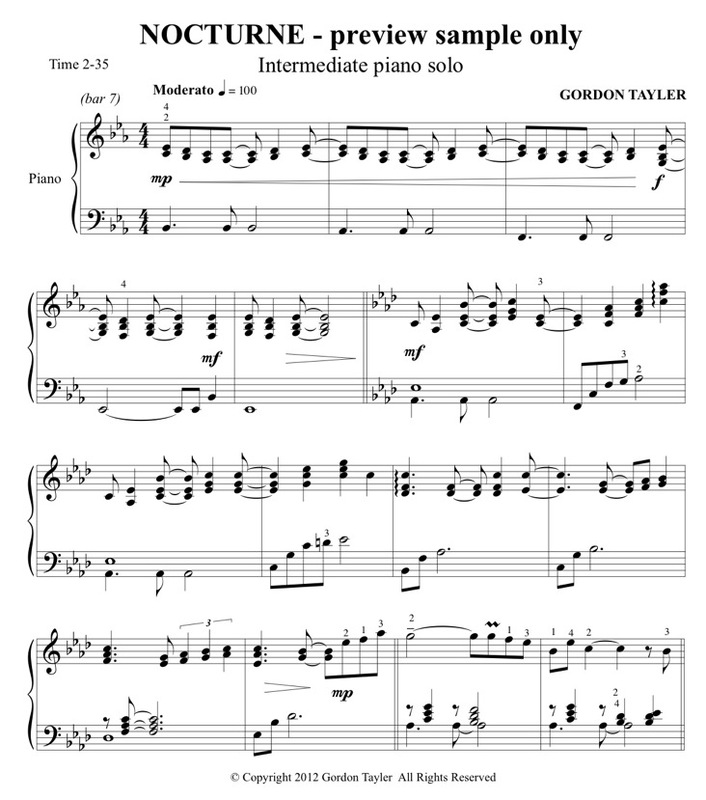 This intermediate piano solo should be played with a sense of mystery, of being alone, but not lonely, of quiet joyfulness as one is surrounded by the dark beauty of the night. The first theme (section A) in Eb major takes a few bars to find its tonal centre in Eb – beginning in the dorian mode, the mystery of the night is immediately apparent. The main theme (section B) at bar 12 is in Ab major – play with a sense of inner joy – the darkness is not to be feared. Bars 20 to 23 is like the breath or pulse of the night – expanding / contracting. Section C beginning at bar 24 has a sense of rubato (freedom in the time) through which the pianist can create their own expression using the tempo changes. Here our imagination soars uninhibited by the rush of the daylight hours – the mind becomes still. One feels connected – and then sleep.